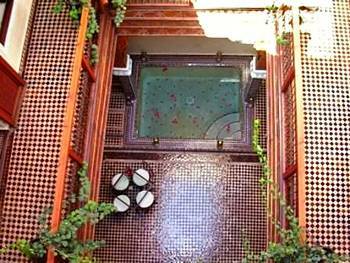 The Riads Passion are traditional Moroccan townhouse residences, built around Moorish courtyards and located in the centre of Marrakech’s medina. 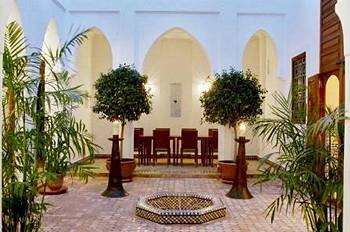 Each two-storey riad features five guestrooms, all of which include traditional decor, Moorish tiling and rugs. All include air conditioning, complimentary bottled water, desks, free local calls and patios. Bathrooms have complimentary toiletries and showers. 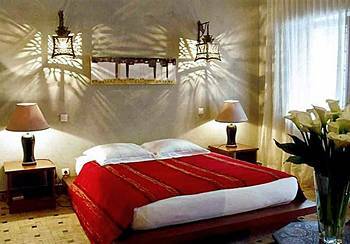 The hotel in the centre of the historic medina old town area, which is home to a maze of market stalls, restaurants and cafes, culminating in the impressive Place Djemaa Fna. Here one can witness snake-charmers, fire- breathers and wedding dances. Marrakech Menara Airport is 20 minutes by car, four kilometres (three miles) from the hotel. From Marrakech Menara (RAK):Approximate driving time is 20 minutes and distance is four kilometres (three miles). All guests are collected from the airport on arrival. 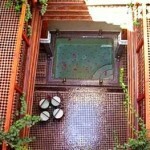 Riads are traditional houses hidden behind the walls in the narrow and nameless streets of the old town (Medina). Due to this particularity we highly recommend guests please call the hotel at +212 (24) 431900 to receive instructions.The best way to explore Marrakech is on foot. About Us | Links | Contact us | Log in | Entries (RSS) | Comments (RSS) 53 queries. 0.634 seconds.